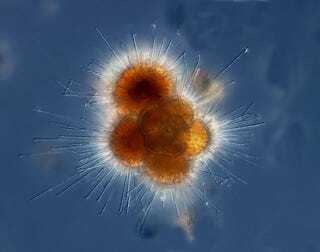 The National Oceanic and Atmospheric Administration (NOAA) put an amazing photo set not long ago showing us the smallest marine creatures living in our planet's seas and oceans. They look like Hubble photos of nebulas and stars. Phytoplanktons, diatoms, different types and forms of algae — they all look beautiful under the microscope. Without these tiny lifeforms, invisible for the naked eye, there would be no life in our seas. And the most enlightening thing is this: these shots look like those spectacular Hubble space photos of galaxies, nebulas, stellar clouds.